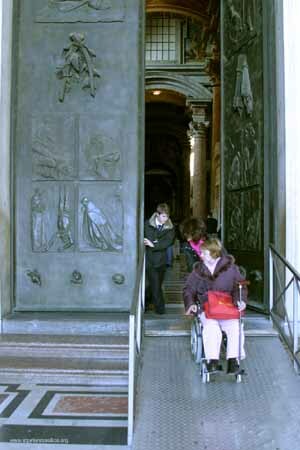 St Peter's Basilica is accessible by wheelchair. 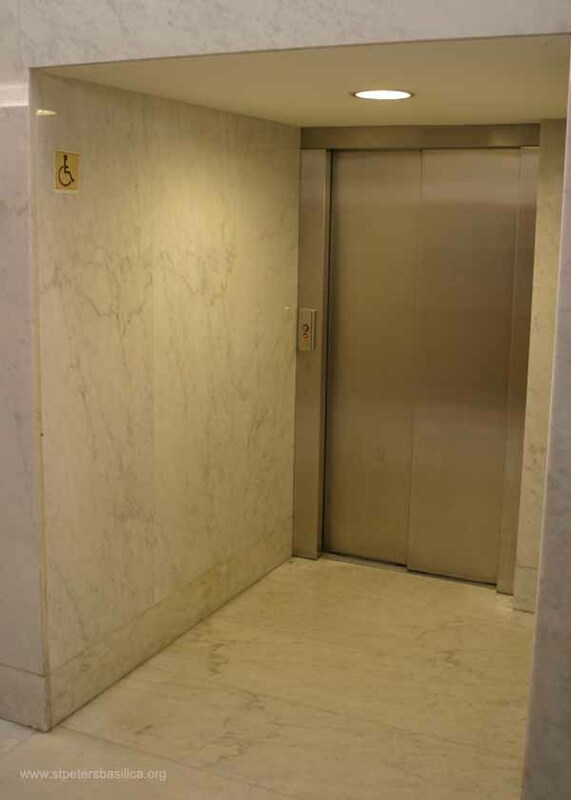 Here are some details about accessibility, and some helpful links. 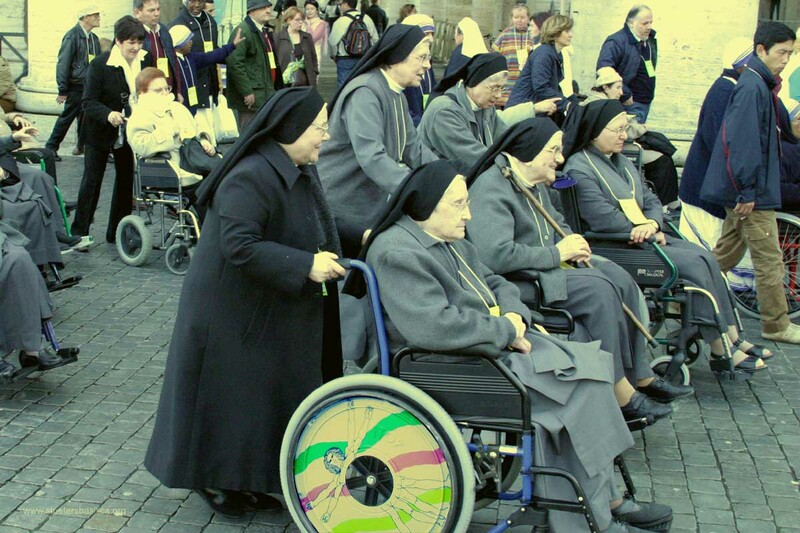 stpetersbasilicawheelchair has rentals close to St Peter's Square. Enter St Peter's from the right (north) side of the colonnade. Access is ramped at this point. 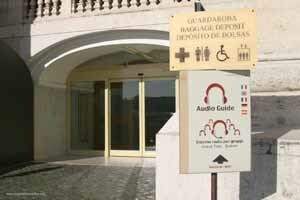 Accessible restrooms are also near this area. 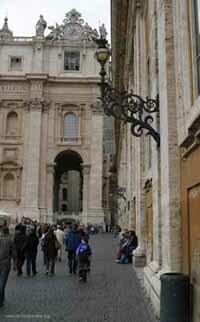 Proceed through the middle of the colonnades to the security personnel. 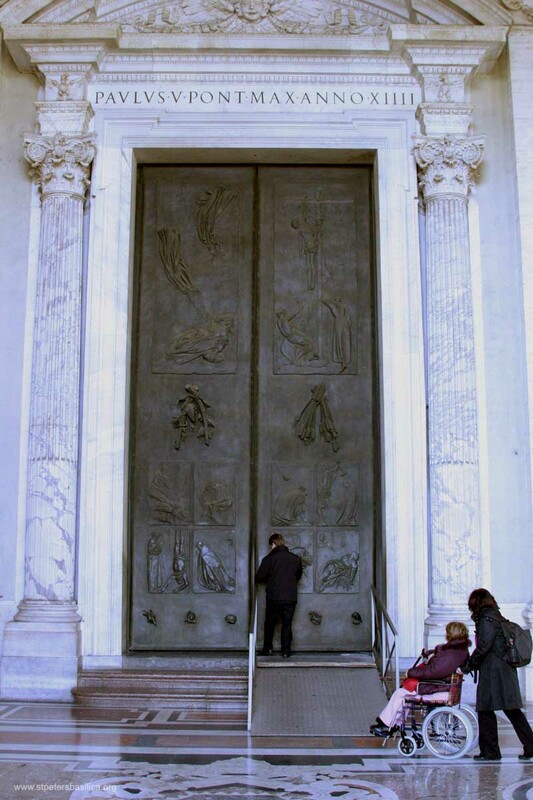 After passing through security, you will move up the right side toward the basilica. 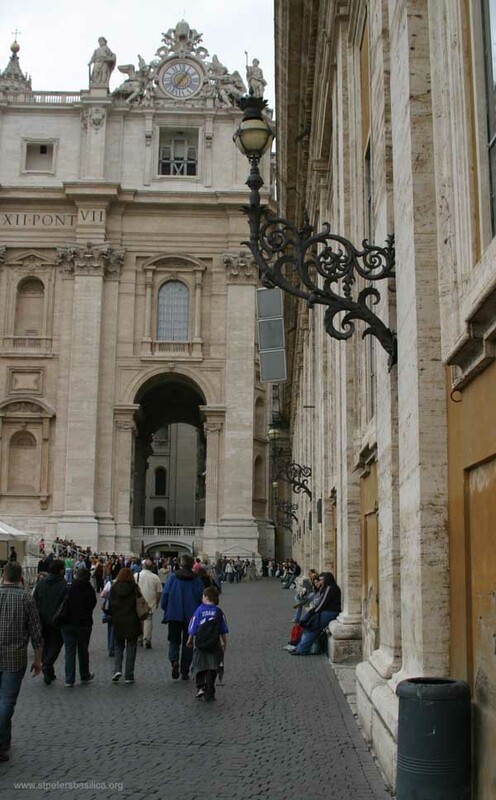 Under the first arch, at the bottom right of the basilica, you will see the door for the Baggage Deposit. 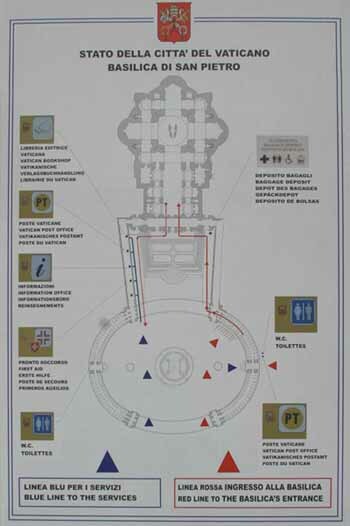 This area has the elevator up to the basilica level. 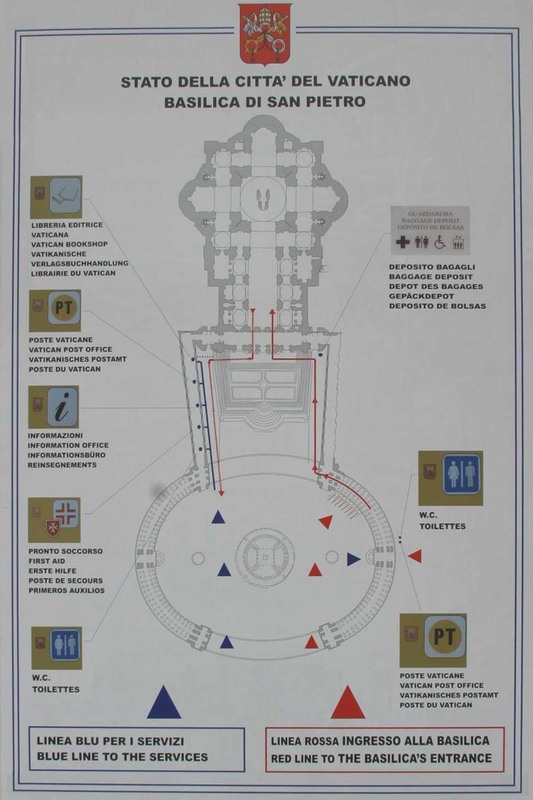 The elevator exit is on the right (north) side of the basilica. 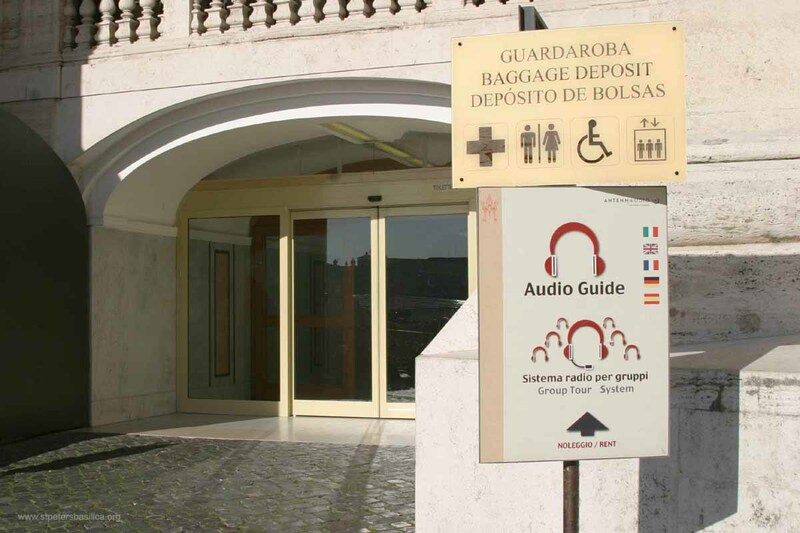 This is the spot where you can enter the grottoes (Tombs of the Popes), or the elevator to the roof. 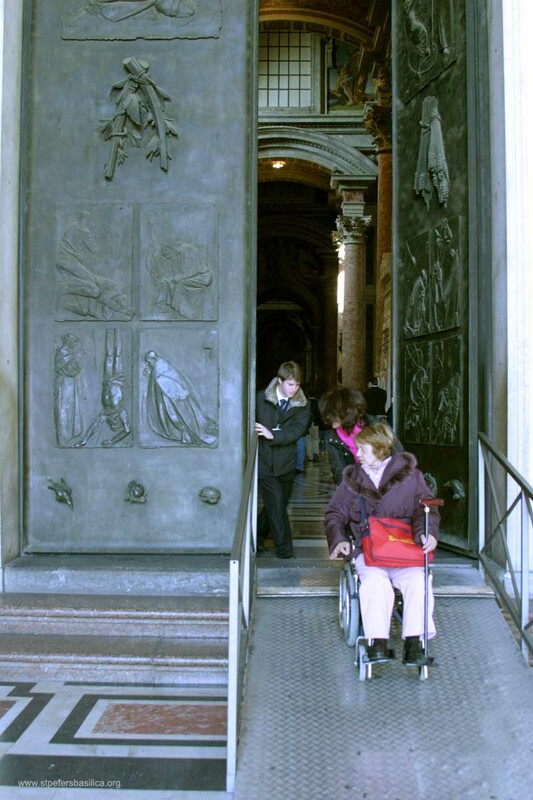 To enter St Peter's you will move into the portico, and then access the last door on the left (facing the interior). 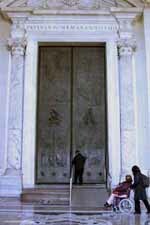 This door is often closed, but an attendant will be glad to open it for you. 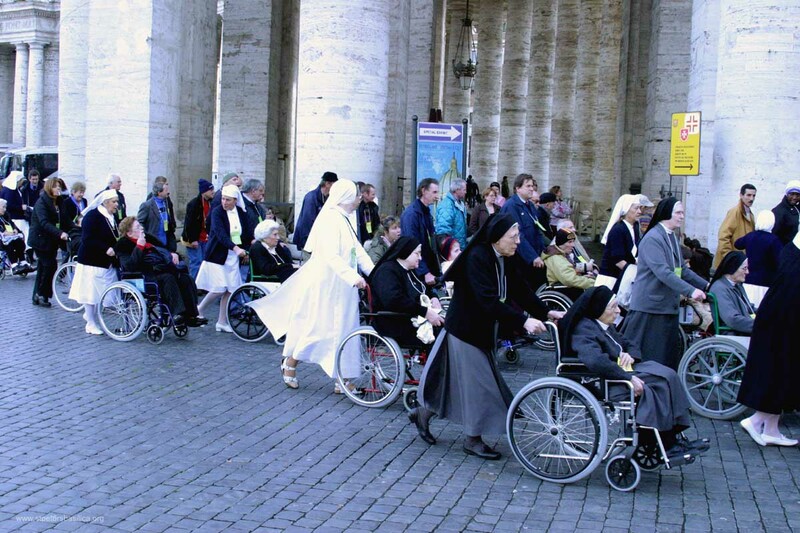 stpetersbasilicawheelchair is close to St Peter's Square. They have an informative website and facebook page. M.i.a. Medical has a large line of wheelchairs and medical equipment.